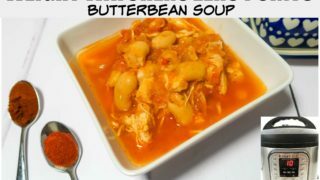 I am so excited to share with you this fantastic Instant Pot butter bean and chicken soup recipe. 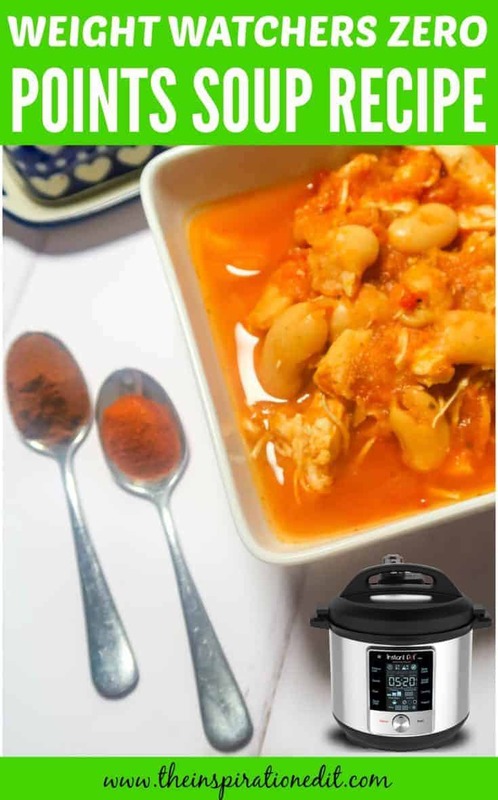 This is an easy instant pot recipe to follow and is great for all the family. 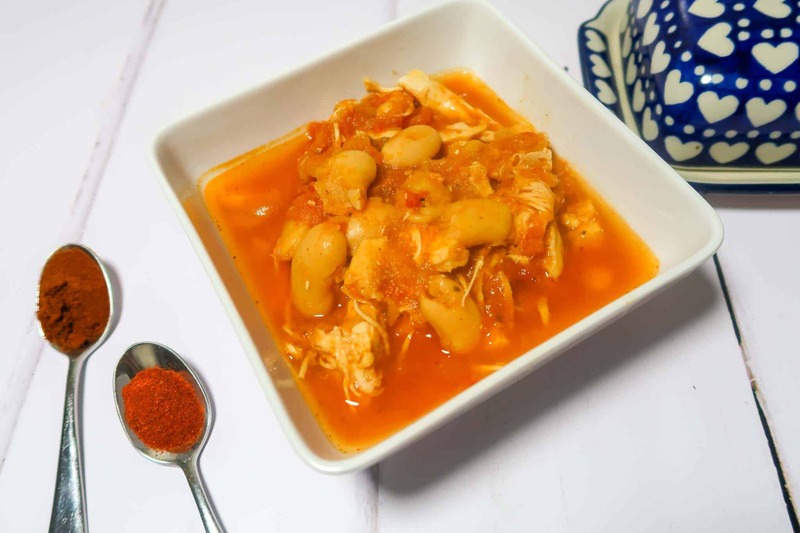 The ingredients in this homemade chicken soup recipe are super healthy, tasty and as an added bonus, this meal is zero points on the 2019 Weight Watchers plan. It’s a great healthy option for all! My family loves this recipe. We developed it ourselves and it is so tasty. 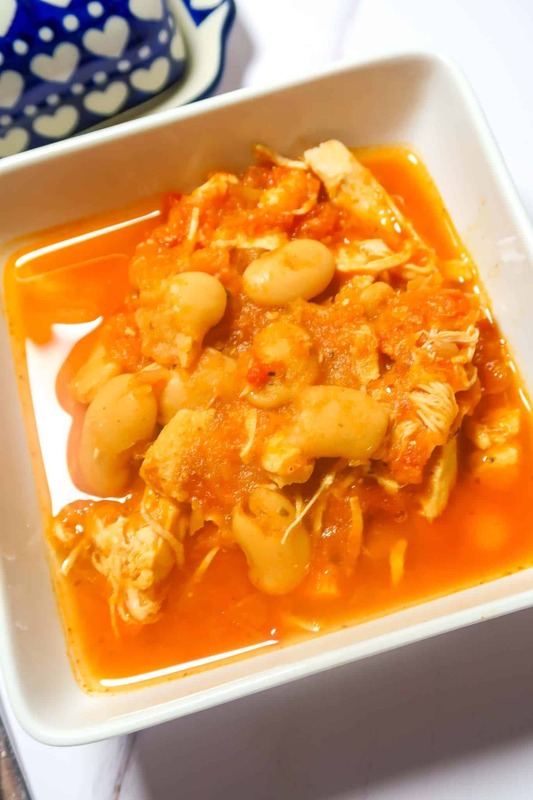 Instant Pot chicken and butterbean soup is a easy and fast family recipe which is perfect for winter or when you have a cold. 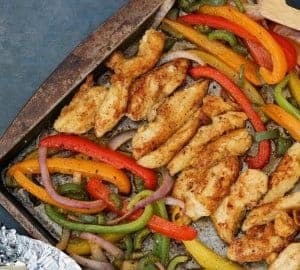 Chicken is not only a filling meat, it contains minerals that slow down inflammation and help fight colds and sore throats. 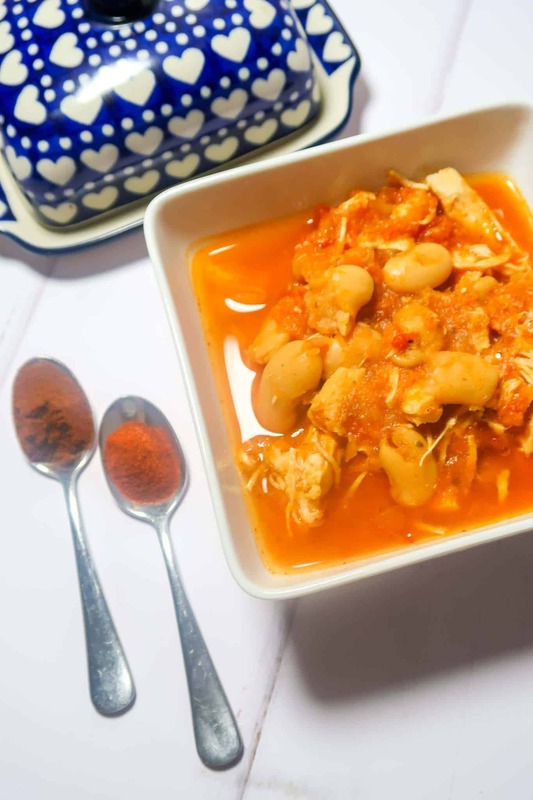 This soup has plenty of flavour too and is full of goodness to keep you feeling healthy and strong. 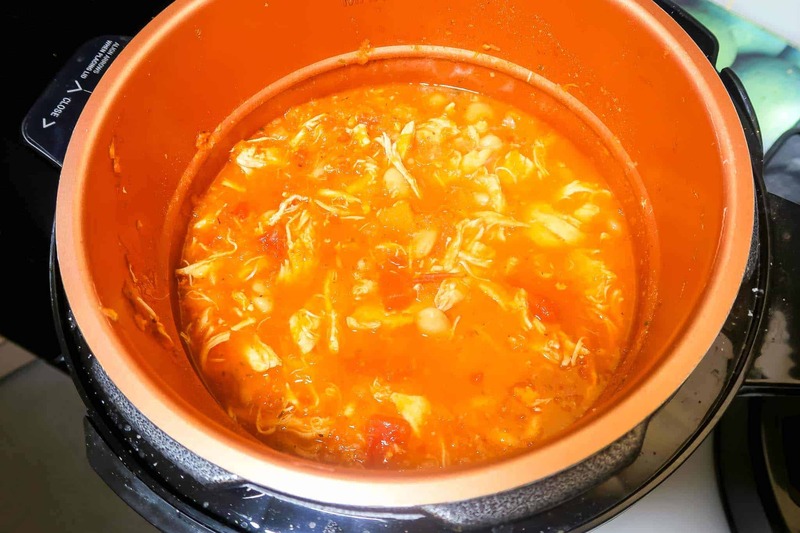 Place the frozen chicken breast in the bottom of your instant pot. Mix 20o ml of hot water with the vegetable stock cube. Pour the vegetable stock into the pot. Add a can of chopped tomatoes to the pot. Alternatively you can add a cup of freshly chopped tomatoes. Add the garlic powder, chilli powder, paprika and mixed herbs. Close the instant pot lid and cook for 12 minutes. (If using fresh chicken knock 4 minutes off your time). Once the food is cooked, release the steam carefully and then shred the chicken using two forks. 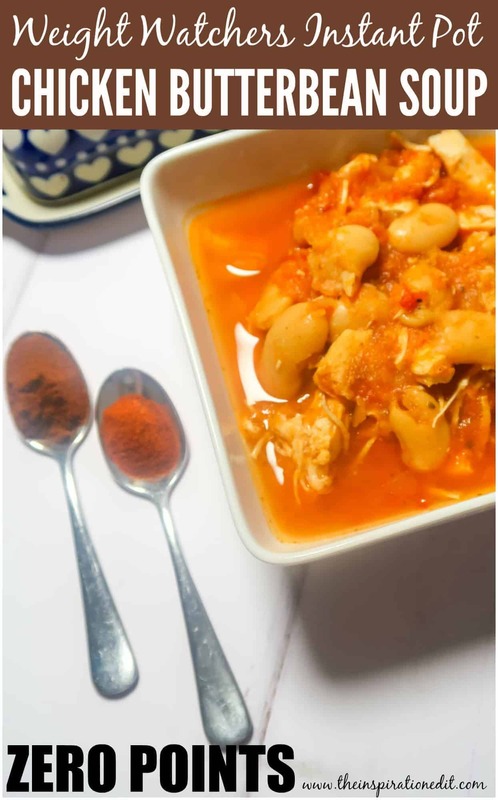 Your soup is ready to enjoy! I love that this soup is so versatile. 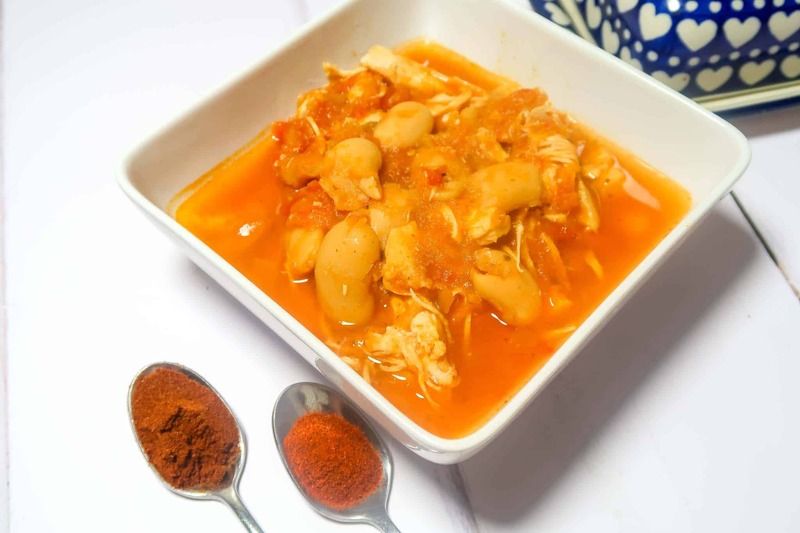 It is great for the family, fantastic for when you have a cold and full of goodness. 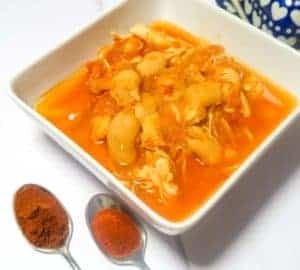 With zero points on the current Weight Watchers program this is a great soup which will keep you full when you’re looking for a zero point meal. You don’t even need bread with it, the dish is super tasty and leaves you feeling satisfied.